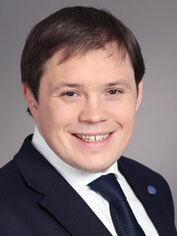 In 2013 we could see a significant increase in the market for mergers and acquisitions in Ukraine. Market analysts (MT-Invest Company, Visum Capital Company) report that the total volume of transactions amounted to about USD 8 billion. However, the growth trend is not indicative of market development as the lion’s share of this sum means that foreign investors are leaving the market. The media sector became the largest sector in terms of volume of transactions in 2013. According to our estimates, the total amount of transactions exceeded USD 3 billion. The main part was made by two transactions: the sale of Inter Media Holding (TV channels: Inter, Enter-film, K1, K2, Mega, NTN, Pixel etc.) to the holding of Group DF (amount of the transaction is USD 2.5 billion) and the acquisition of UMH Group (it manages a portfolio of fifty newspapers, Internet portals and radio stations, e.g. Forbes Ukraine, Korrespondent, Telenedelya, Nashe radio, Avtoradio, bigmir.net, etc.) by the Ukrainian business group (the value of the transaction is estimated at USD 370 million). 1. Availability of a complex corporate structure using different jurisdictions in a targeted company. In Ukraine many businesses are not structured properly, as Western holdings are used to. A complex corporate structure with a number of companies both in Ukraine and in other jurisdictions caused by the following: (1) “chaotic” group formation, (2) optimization of taxation and financing, and (3) attracting partners by allocating part of the business into a separate project. 2. Failure to confirm “the history” of formation of the group. The seller not always is able to confirm “the history” of rights to shares and interests of companies especially if they were created or purchased before the year 2000. Despite the expiry of the limitation period and given the realities of Ukraine, it is impossible to totally exclude the risk of future corporate disputes. 3. Use of English law when concluding M&A transactions. Most transactions are under English law, because of two reasons: (1) acquisition of holding companies, which are registered in one of the most popular jurisdictions (Cyprus, British Virgin Islands), (2) higher level of protection of the parties in comparison with the laws of Ukraine. 4. Lack of financial instrument in Ukraine such as escrow. The national legislation of Ukraine does not provide such an instrument as escrow. Therefore, it is necessary to attract foreign escrow agents to be involved in transactions to ensure settlement and transfer of ownership rights. 5. Risks associated with confirming the ownership rights on assets. The main risks herein are: (1) lack of confirmation of rights to basic assets, e.g. real estate, land, trademarks and domain name; (2) defective clearance of rights to assets that may result in loss of ownership rights or use of assets. 1. High level of confidentiality of a transaction. In Ukraine, the high level of confidentiality of transactions is caused by increasing attention to transactions on media assets, since a change of owner may result in a change of information policies by the acquired media. 2. Approval for change of control and license renewal with brands’ owners. In case of acquisition of media, which is a licensee for the use of a well-known brand in Ukraine, it is necessary to take into account the need to approve the change in control and license renewal. In case of absence of prior consent for a change of control, further refusal to renew the license or its revocation is possible. In this process it is important to draw attention to the necessity of the KYC procedure. It is necessary to conduct complex negotiations with the owners of the license, ensuring that the change of control will result in mutually-beneficial cooperation in the development of the brand and will not affect the information policy and compliance with the principles established by the brand owner. 3. Risks in relations between a new owner and journalistic team. One of the main assets is a professional team of journalists. There are risks of non-perception of a new owner by the editorial team or dismissal of the main journalists in case of dismissal of the chief editor or producer. To eliminate the risk it is necessary for the team of mergers and acquisitions preparation to inform the personnel about the key principles of working with the new owner at the early stages of preparation. 4. Risks associated with intangible assets. As a major intangible asset in the media is a trademark, additional steps should be taken to protect intellectual property. In Ukraine, there are risks of registration of rights on trademarks and objects created by employees, but not companies, which implies the risk of claims for the protection of intellectual property rights after the change of owner. Also, due to insufficient legal regulation of relations in the Internet, many companies cannot confirm ownership rights to domain names. Furthermore, in 2013 Parliament amended the media law, which is directly related to the results of the change of owners of the media and disclosure of information about them. On 28 July 2013 the On Amending Some Acts of Ukraine on Ensuring Transparency of Ownership in Respect of the Media Act of Ukraine entered into force, which introduced a number of amendments to the On Print Media (Press) in Ukraine, On Information Agencies, On the National Council of Ukraine on Television and Radio Broadcasting and On Television and Radio Acts of Ukraine. 3. provision of objective coverage of public events. In the area of ? ?disclosure owners of TV and radio companies there were made the following major changes were made: (1) concepts of control and related parties were defined, and (2) obligation to inform on the controllers and related parties was established. The Act has determined that control over an owner of a TV and radio company is ownership of corporate rights of at least 50% of the owner of TV and radio company directly or through related parties. At the same time, a related party is considered to be a legal entity or individual making the control over an owner of TV and radio company; family members of an individual who is an owner of a TV and radio company; a legal entity which the owner of a TV and radio company makes the appropriate control for. From the end of July 2013 when obtaining new license or amending an existing one for broadcasting, TV and radio companies must submit information about related parties. These changes are not assigned a definitive assessment as in the legal community, as well as in the control bodies. In particular, there are two opposing interpretations of the concepts of control and related parties and disclosure of information about them. The first position, which is also supported by our company, provides the need for disclosure of all related parties and beneficiaries who directly or indirectly control 50% of votes in an owner of TV and radio company (a TV and radio company is a legal entity holding the license for broadcasting). The second position provides the need for disclosure only of shareholders of an owner of TV and radio company. This position is also supported by many employees of the regulator — the National Council of Ukraine on Television and Radio Broadcasting. We believe that the second position does not provide fulfilment of goals of changes and does not reflect the possibility of indirect control through other controlled entities, which is fixed in the Act. In Ukraine, there is a practice of non-transparency of many media. This is due to the possibility of manipulation of public opinion through the media and personal views of citizens in order to improve the image of specific political parties or businessmen. Assessing a period in excess of six months when the changes are active we can conclude that the objectives were not achieved. The public still does not know the real owners or investors in the media. At the same time, for effective implementation of the objectives of the act it is necessary to adopt refinements that can introduce mechanisms for real disclosure of owners before the public. However, before the clarification of legislation on transparency of media ownership, we recommend full disclosure of the beneficiaries. Further evasion or filing of false information about owners may entail the imposition of sanctions on broadcasters right up to withdrawal of the broadcasting license. This issue has become even more urgent after the change of government in Ukraine, and the emergence of sentiments on the redistribution of TV and radio frequencies. Although in 2014 M&A in the media market was not predicted to be so active as in 2013, after the social and political restart in Ukraine the next wave of transfer of ownership rights to media assets will take place. In this connection, new owners should pay attention to both the above features and possible changes in the regulation of the media.